February 20th, 2017 by Terra | Filed under Writing and Reading. It was a quiet winter for me, but things are beginning to bloom here in Atlanta, including summer camps I’m doing for tweens, teens, AND adults! Email info@decaturwritersstudio.com for more information. This is an all-day summer camp for middle schoolers who love to write (or think they might love to write), and want to throw themselves at words and stories. Campers will learn the basic building blocks of story writing, play with story starting ideas, develop characters, explore setting, build their descriptive muscles, and even dabble in some poetry. Whether you have written tons already, or just have a tiny idea, as long as you are willing to experiment, explore, and share, you are the right camper for this! Do you have ideas for stories but not the time to work on them? Or ones you’re excited about at first, but can’t keep up the momentum? Want to develop your characters more fully, work on setting and dialogue, strengthen your powers of description and plotting, get feedback on your work, be inspired by other writers like yourself, and in general immerse yourself in a whole week of nothing but writing? Then this summer camp is for you! This camp will be five days of fiction-centric work, though we will touch on elements of poetry to infuse your prose with dynamic language. Open to experienced teen writers and first-timers alike! 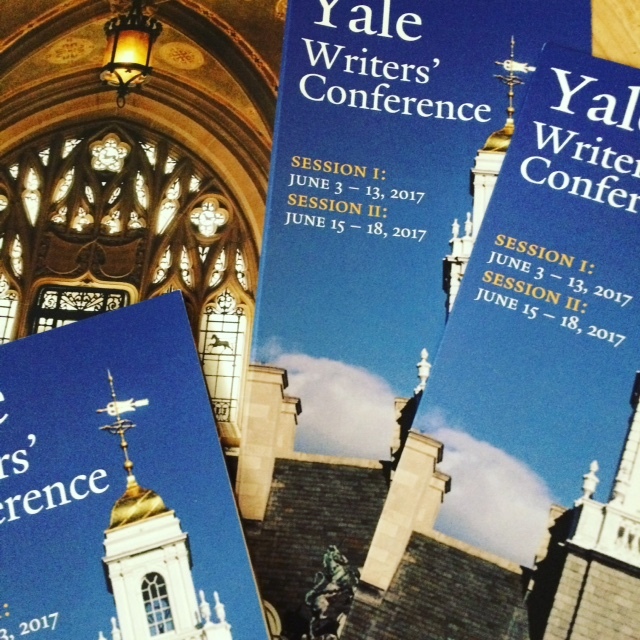 Yes, I’m doing Yale Again! « Holiday Time: Little Shop of Stories will Ship!